I am a Cookie Butter fanatic. Everything about this delicious goodness makes me want more. 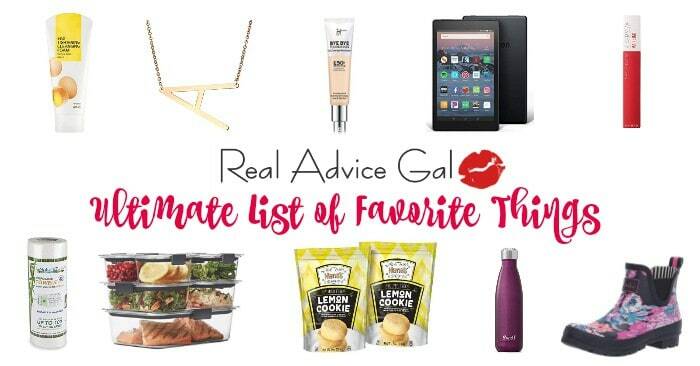 Our family even created Top 10 Ways to Eat Cookie Butter. We were happy to experiment with other recipes and then I received the Ninja Ultima Blender Plus to review. Of course the first thing I thought about making was a Cookie Butter Shake. The Ninja Ultima Blender offers Dual Stage Blending which I knew would be perfect for making a equally balanced shake (along with many other great recipes). 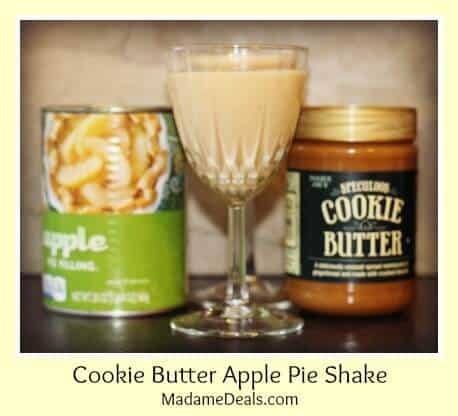 I wanted to give my shake a little extra something in the taste department so I decided that a Cookie Butter Apple Pie Shake would be our next Cookie Butter creation. Everyone in my family wanted to help with this one. There was a constant jockeying of position for who controlled the Cookie Butter and the Ninja Ultima Blender. 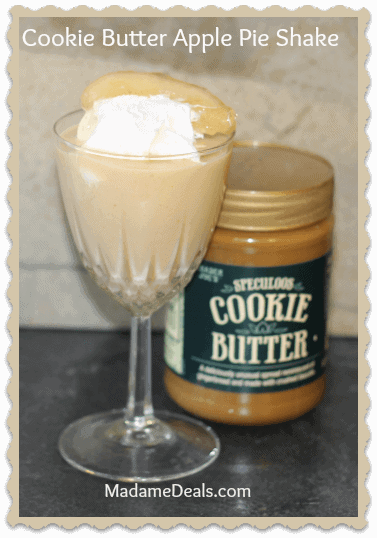 In the end the result was simply delicious and dangerous to have in the house with Cookie Butter fanatics. Blend for 1-2 minutes depending on the speed and setting of your blender. (I used the Ninja Ultima Blender on 5 for about 1 minute). Make sure not to blend too long or the ice cream will start to melt. Divide into serving glasses and top with whipped cream. This will make about 7-8 cups. This whipped up so fast in my Ninja Ultima Blender Plus that I couldn’t believe I had been using anything else. I wanted to make sure that it wasn’t just good for shakes and smoothies and used it to grind coffee beans and crush ice. I couldn’t believe at the things it could do. Before the night was over all my other blending appliances, ice crushers, smoothie makers were put aside to be donated and the Ninja Ultima Blender now sits on my counter just in reach for all my needs. With the single serve blending cups, I can make my morning protein shakes and only have 1 thing to clean up when I am done. This will save me time and help me get started faster. Check out the Ninja Ultima Blender Plus and purchase yours today. My family is busy trying to figure out how to get me to let them use the Ninja Ultima Blender and get their hands on my Cookie Butter. I won’t be fooled but you can relax and treat your family to these other delicious Cookie Butter recipes.